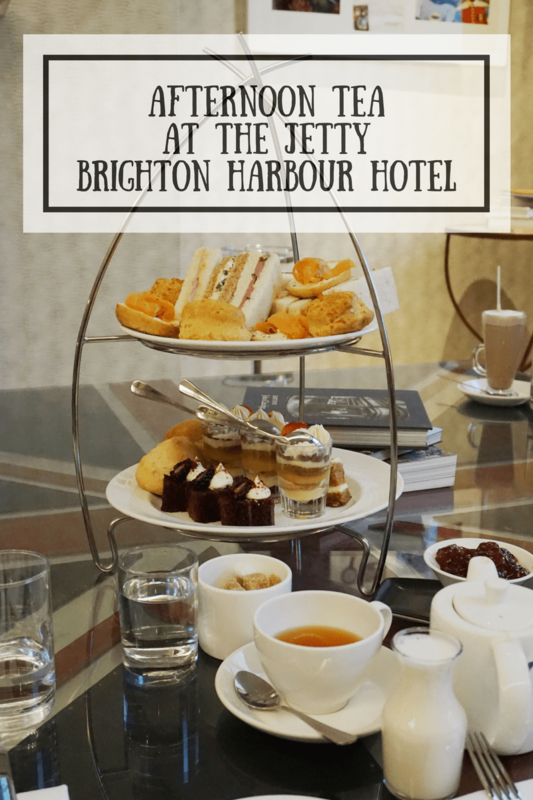 The Jetty is a new restaurant on Brighton’s seafront, in the Brighton Harbour Hotel & Spa. It’s not been open for long so hasn’t seen a sunny Summer, but I know it will be the perfect place for a post seaside stroll drink or dinner. Spacious and bright with carefully chosen decor it’s a far cry from how it looked in its previous guise! We went for Afternoon Tea last week, and were seated on squishy sofas in the raised and secluded ‘nook’ area. 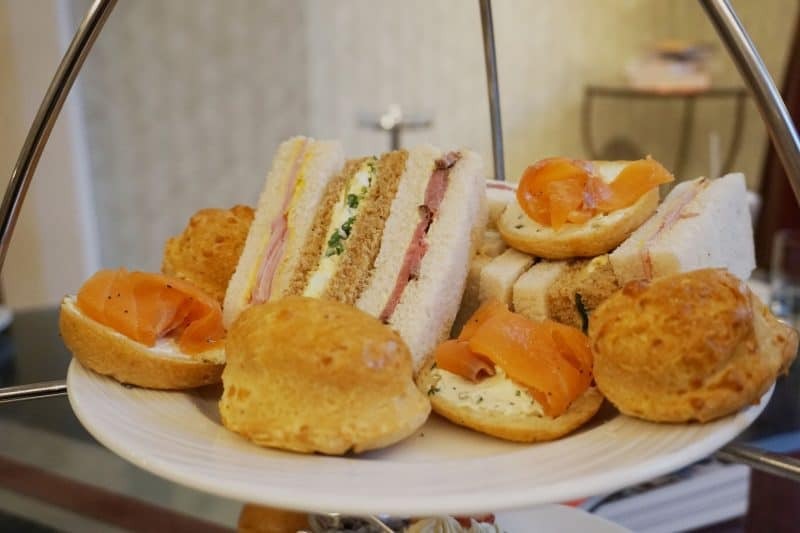 The Harbour High Tea is a delightful selection of savoury and sweet delights, curiously filling for things that are so delicate looking! 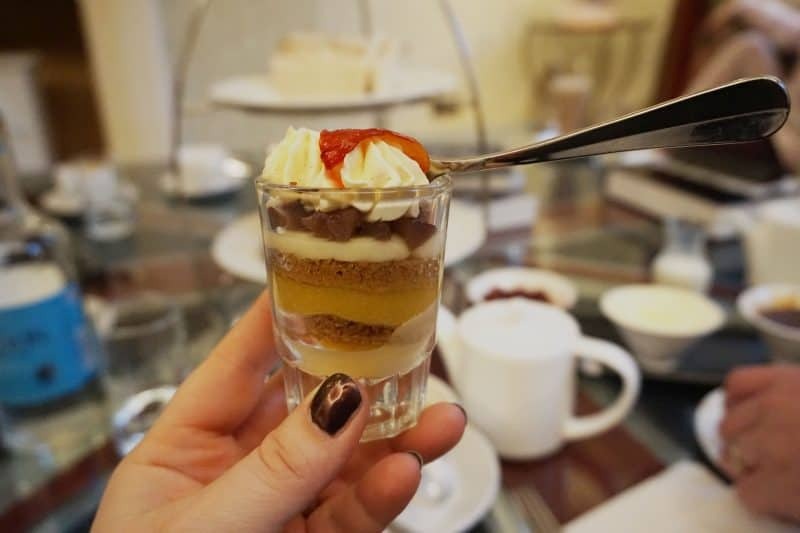 Each High Tea comes with a bottomless selection of tea from a vast Tea Pigs selection, which I made the most of! 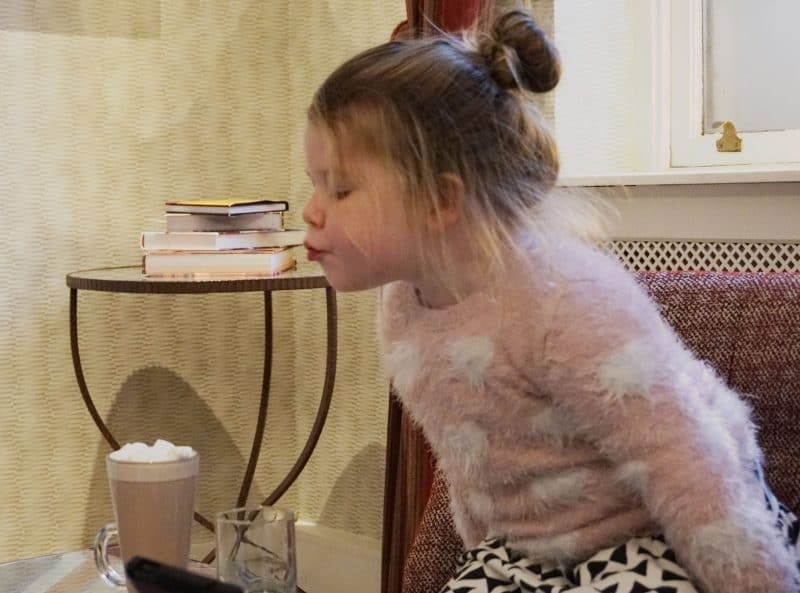 Athena had a hot chocolate, with marhsmallows that were made on site by the pastry chef, according to our lovely waiter! I’m not sure if he was pulling Athena’s leg when he told her, but either way she demolished them! 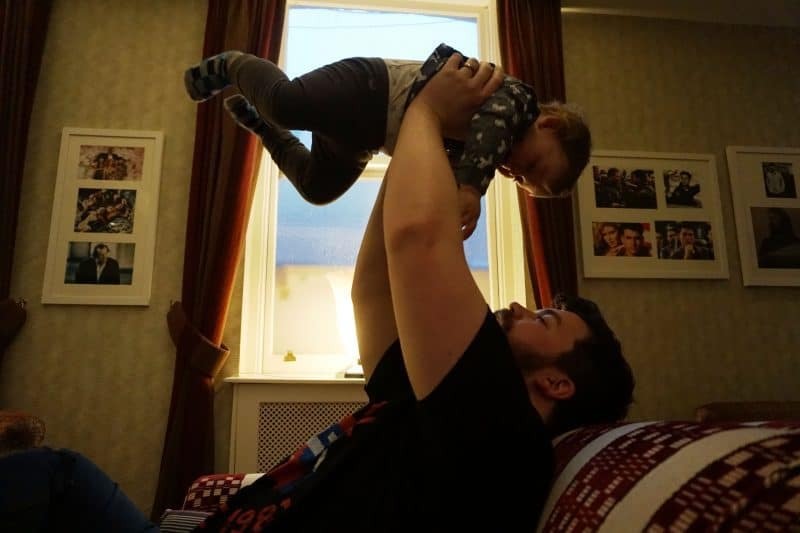 He was very chatty, and interacted with two slightly tearaway kids really well, which always makes a difference to how successful eating out with kids is! Delicately cut and not scrimping on contents, we tucked in, slathering Bacon Jam (yep, surprisingly delicious despite my initial reaction of raised eyebrows!) 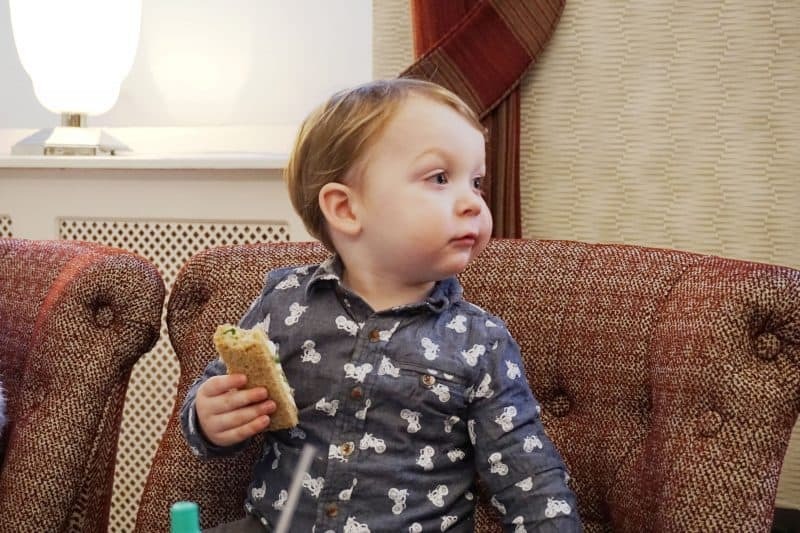 on scones and sharing out the sandwiches between us. Oh, and I should mention that the portions of Jam & clotted cream were more than generous, none of that having to spread a minute amount on each scone half to make it last! Once we’d had our fill of the savoury bits we gleefully tucked into the sweet selection, buttermilk scones with strawberry jam and lashings of clotted cream, and an amazingly flavour-filled mini trifle; poached pears, cinnamon cream and ginger sponge… I could have eaten this ten times over, it was amazing, the ginger gave it the perfect kick! 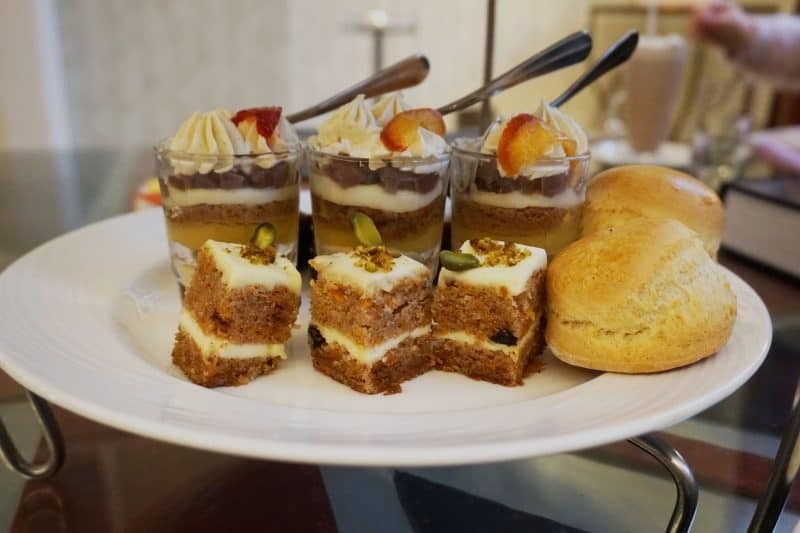 We also tucked into little carrot cake squares decorated with pistachios and bite size blackberry gateaux, which were the kids favourites, of course! We stuck with hot drinks to accompany our food but there was a great selection of fizz if you wanted a more bubbly accompaniment! 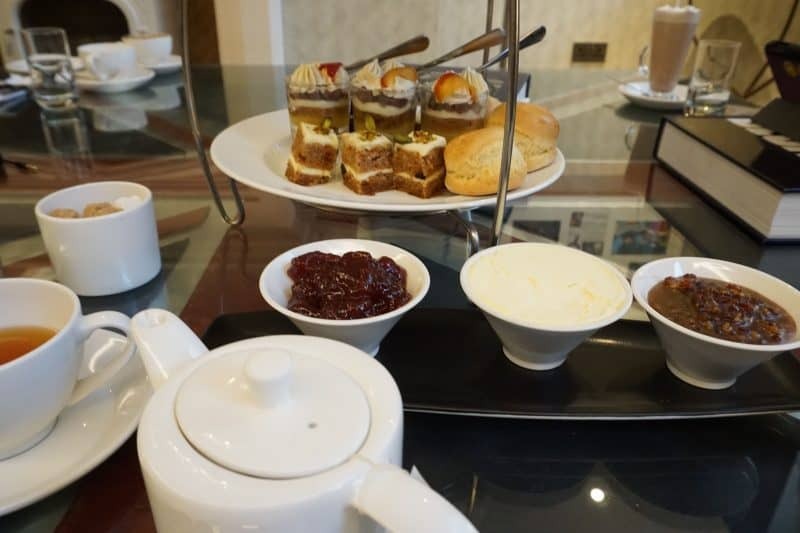 The Harbour High Tea costs £19.50 per person, or there is a non savoury cream tea option for £12.50. The Al a Carte menu looks absolutely amazing too, and there is a special Valentines Menu on offer soon. You can take a look at all the menus here. The Jetty is open for lunch daily, from 12-3 (4 on Sundays) and serves afternoon tea from 3-5.30pm. Dinner is served from 6pm daily. You can book online or call 01273 323221 to make a reservation. I was lucky enough to take a little personal tour of the sumptuous brand new Spa, spread out over two subterranean levels beneath the hotel, its been open for a little while but is still having the finishing touches completed, but it looks amazing! Think exposed original Victorian brick work, a gorgeous tiled pool and hydro-pool, a private room with hot tub and fizz-fridge and serene treatment rooms… I’ve visited more than a few Spas in Brighton and can hands down say this one beats them all! I think one of the Lava shell massages would be the perfect way to unwind and revive an achey body! The full range of spa treatments can be seen here, I defy you to not find something you’d love! If you’re local there are different membership options too. Thank you to The Jetty for inviting us to spend the afternoon indulging, all words and opinions are my own.